Instagram is an online mobile photo-sharing, video-sharing and social networking service that enables its users to take pictures and videos, and share them on a variety of social networking platforms, such as Facebook, Twitter, Tumblr and Flickr. A distinctive feature is that it confines photos to a square shape, similar to Kodak Instamatic and Polaroid images, in contrast to the 4:3 aspect ratio typically used by mobile device cameras. Users can also apply digital filters to their images. The maximum duration for Instagram videos is 15 seconds. Instagram was created by Kevin Systrom and Mike Krieger, and launched in October 2010. The service rapidly gained popularity, with over 100 million active users as of April 2012 and over 300 million as of December 2014. 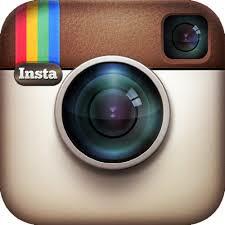 Instagram is distributed through the Apple App Store, Google Play, and Windows Phone Store. Support for the app is available for iPhone, iPad, iPod Touch, and Android handsets, while third-party Instagram apps are available for Blackberry 10 and Nokia-Symbian Devices. The service was acquired by Facebook in April 2012 for approximately US$1 billion in cash and stock. In 2013, Instagram grew by 23%, while Facebook, as the parent company, only grew by 3%. Hopefully you now understand what is Instagram?